Rave Hunter (subtitled Hamaraja Night) is a homebrew puzzle game for WonderSwan, developed by Pastel Gradation for the official WonderWitch hobbyist dev kit, and was a winner in the 2002 WonderWitch Grand Prix, alongside the renowned Dicing Knight. Rave Hunter is actually a remake of Hamaraja Night on the MSX, released some eight years earlier in 1994 by Pastel Hope (half of Gradation, which also included Pastel Spirits). In both games, you're a dancer whose goal is to conquer the clubs of Japan using smooth dance moves. Said dancing attracts colorfully dressed dancers toward you, and you must aim to line up three or more girls dressed in the same colors so that when you cheer, they all disappear. If you don't play carefully, you can get stuck, and must start buying off girls with your limited supply of cocktails. Along the way, you'll face other obstacles, like potted plants and black-suited rival dancers. One of the best games to grace the WonderWitch, and the WonderSwan itself. I have WonderWitch files for this game [original package, with extensive gameplay info in a HTML file, with plenty of images], but I've never seen it in action. Great tunes! I wonder how this video was made. I tried running it in the emulator, but it wasn't able to run any color games, or at least it didn't run the ones I tried. Just to be sure, I tried running it right now, but after I confirm the argument, the emulator screen shows two grey, horizontal bars, and that's it. The Rave Hunter package contains one *.fx file and one *.il file. The rest is "readme" stuff. Any idea how to get it running? Edit: I'm also curious why there was no official release. 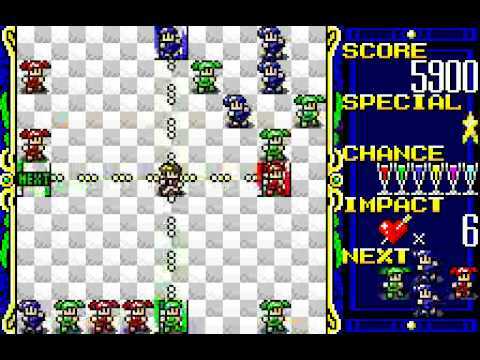 If it was a tie between Dicing Knight and Rave Hunter, why was Dicing Knight the only game which saw a commercial release? Scoring a release deal was the whole point of the competition. that's awesome, yea I didn't even know what a wonderswan was until 5-6 years ago. I might need to rethink picking up a Wonderswan again. I got rid of mine years ago, and it was the Final Fantasy edition.